(Photo courtesy of Chad Leitch). LONDON, Ont. 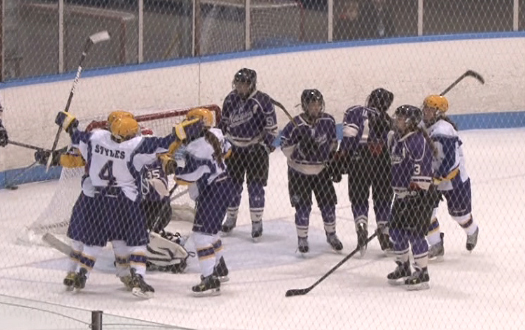 — The Wilfrid Laurier women’s hockey team faced elimination Saturday night as they travelled for game two of the Ontario University Athletics (OUA) semifinal series to meet the Western Mustangs. 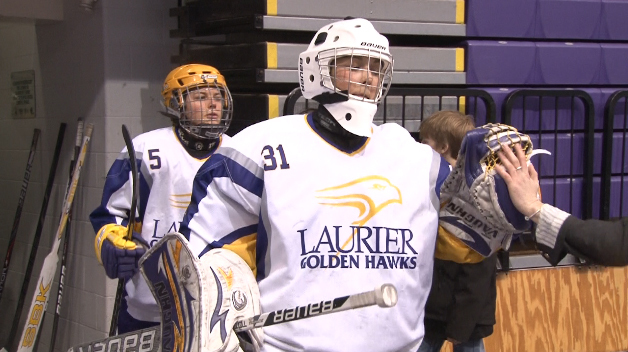 After a rough start to the series falling 2-0 to Mustangs in game one, the Hawks said they needed to get back to the roots of the Laurier tempo. Saturday night, that’s exactly what they did. The Hawks controlled the puck for a full 60-minute affair and skated to a 2-0 win over the Mustangs to force game three. Through a scoreless first period, the Hawks led the shots 17-5. Five minutes into the second, Crago tipped a shot from the point to beat Mustang netminder Kelly Campbell to put the Hawks ahead 1-0. 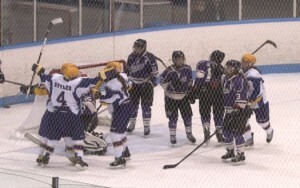 With four seconds remaining in the second period, Laurier’s Jessie Hurrell was able to put one past Campbell to widen the lead to two going into the final period. The third featured ten penalties, including a sequence of five in a row called against the Hawks. Laurier would play two men short for nearly four full minutes, but Western was unable to capitalize on the powerplay. “It’s great motivation, it’s showing our determination on the ice and how well we stick to our systems, and how our team is pulling together through this,” second-year Candice Styles said of the Hawks’ penalty kill. Second-year netminder Erika Thunder turned away 21 shots in the shutout win. In total, the game saw 17 penalties, ten against WLU and seven against Western. Game three will be Sunday night at 7:30 p.m. at the Waterloo Rec Complex. “No better place to win it than there,” Crago said with a smile.